Original post pinners are listed first. New ones are listed after the one line break. Got anyone you would add? Are YOU not here? Leave a comment. Dear Pinterest and Blogger, please make cross finding your virtual friends easier. Regina Hartley: Hey Twitter friend! Kelly Butcher: Another Twitter friend! Sara Romine: I know her in real life. So many great ideas and energy she shares! Sherry Phillipus: An awesome TL friend! 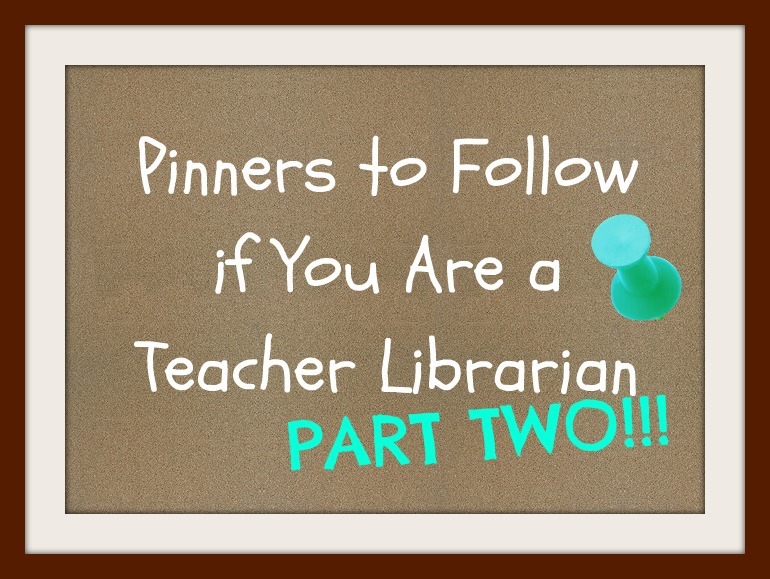 Cari Young: Centered School Library blogger. Know her, too! Wendy Howk: Hey, my friend! Flannel Friday: I love the idea. And have even made a couple sets. Just never gotten into a groove of USING flannel/magnet board stories. Matt Gomez: I heard him present at a recent iPad mini-conference. He's a kindergarten teacher doing AMAZING things. Check out his Pinterest boards AND his website and Twitter feeds. Lisa Johnson : of the TechChef4U app and AppyHour podcast. At least I think that's the name of it? Donna BaumbachL for lots of reasons but especially cool info graphics. Jennifer Jones: Also follow her blog Hello Literacy. Elizabeth Eastman: another one to follow for lots of reasons but especially cool infographics. Pam L: my friend! Also great decorating, cooking, and fitness. Katie: another friend and great teacher. And fashionista so follow that board, too. Shannon Clark: Twitter and blog friend! Also I am working on converting her to the ways of clip art fanaticism. Man. Pinterest. Riffle. Instagram. what do they have in common? They are all things that are not going to happen in my world. Can you use your powers to promote the MotherReader 48 Hour book challenge? 'Cause I'll never get it done on Pinterest! I have had an Instagram account forever but have never used it. Hardly ever remember to take pics. And I know I signed up for Riffle but for the life of me cannot remember why. Gotta say, I was surprised to see my name since I am Facebook-less but totally in love with Pinterest. Love this list...it will keep me busy for awhile! Thx! 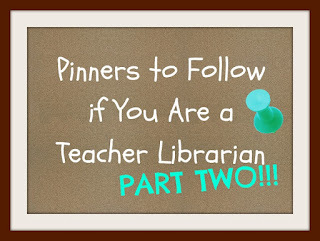 Though not nearly as Pinterestly amazing as thee, you can still find me bumbling about at pinterest.com/busylibrarian. Happy end of the school year! Can't wait to go through this list - where is part one?